From Mein Schiff 1, to Marella Explorer. That was the aim for Marella Cruises and their trusted partners in the early part of 2018, when the former TUI Cruises ship headed into dry dock in Cadiz, Spain. It was to become the fifth ship to launch under the Marella banner – formerly Thomson Cruises – and among the trusted partners was tedav. 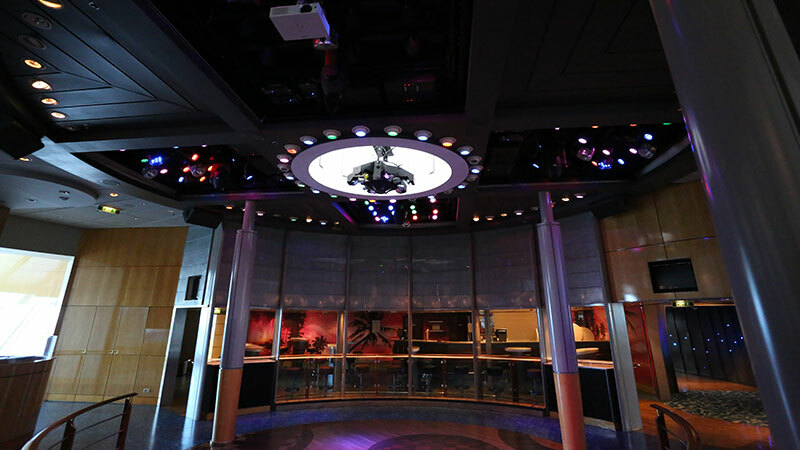 The remit for our AV department was to successfully complete a multi-venue installation on board the ship, supporting the bespoke, innovative package of entertainment that had been exclusively created by our in-house team to suit customers of all ages. It was the first cruise installation we had been contracted to undertake, but our experienced team are no strangers to projects of this magnitude. From the Squid & Anchor, a modern take on a traditional British boozer, to the Broadway Show Lounge, a stunning 1,000-seater theatre – and everything in between – the project featured nine entertainment venues, all of which required the very best sound and lighting expertise and equipment. 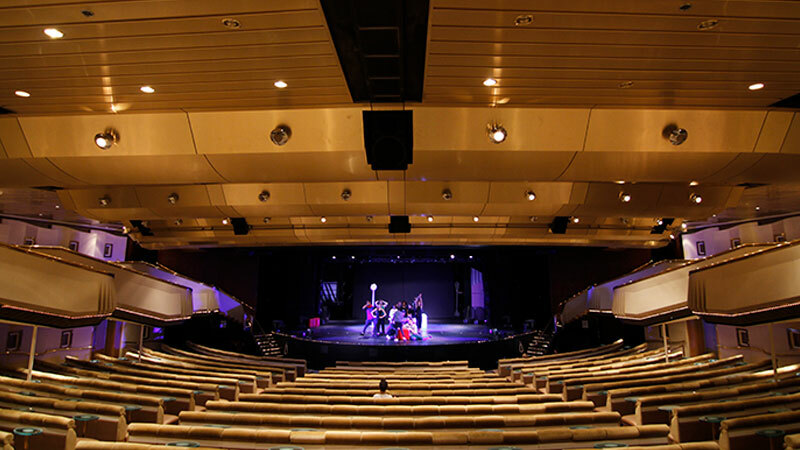 There was also a complete overhaul required of all stage mechanics in the theatre, and the installation of a new PA system on board the 1,924-passenger ship. The first members of our dedicated cruise team arrived in Cadiz in late March, and the ground-breaking project was under way. Being the first major cruise installation project for tedav, it didn’t come without its challenges. The timeframe for the renovation was a challenge, but it was a challenge that our team rose to. A strict project plan was devised and managed expertly to cover the vast scope of works, and a team of motivated engineers on board proved to be essential. With the drydock taking place overseas, there was also a language barrier, but a Spanish-speaking member of the tedHQ team helped co-ordinate our efforts with the shipyard and local logistics companies, highlighting the importance of having a multi-national team of staff like ours. Fast forward to May 2018, and 10,000 metres of cable later, the project was complete – Marella Explorer had set sail. The full installation had been delivered by our AV team, within the four-week allocation, heavily contributing to the success of the ship’s launch. The strong bond we have with Marella Cruises, following the successful Explorer launch, was recognised at the Marella Cruises Partnership Conference when we were named the Outstanding Partner for 2018. It was recognition of the dedication and hard work across all of our teams, and a very proud moment in what was our inaugural year as a Marella Cruises partner. But it’s just the beginning – 2019 is now upon us, and so is Marella Explorer 2. It’s another multi-venue project for our expert AV team; and one we are relishing.